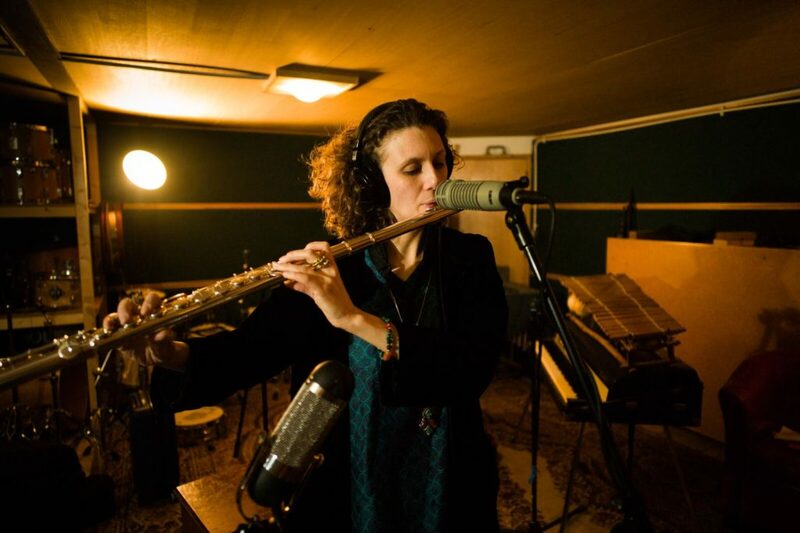 We had the immense pleasure of interviewing the extremely talented and hard working Tamar Osborn, known best for her Collocutor project, whose debut LP, Instead, brewed together a potent mixture of music for the soul, drawing on the likes of Ethiopian jazz and afrobeat, and was a clear favourite of ours in 2014. Since Collocutor are currently crowd sourcing for funding to complete and release their second LP, it seemed like a perfect time to gain some insight into where Tamar and co. are heading and how they got here, plus of course to shed a little extra light on their campaign. All photos by Gavin Mills. CF: We’d love to know how you came to be playing the baritone sax, and why jazz? As with many saxophonists I started on clarinet, then took up alto sax a couple of years later. I studied both equally until college, when saxophone took over as my main instrument. I was already playing tenor sax as well, and at some point at college I had to play baritone in the saxophone ensemble and big band. It took a bit of time to get to grips with, but eventually I realised that for me it was more enjoyable than the other saxes, and more varied in terms of role in an ensemble – for example, in a big band setting, baritone is not only part of the saxophone section, you often find your part working with the trombones and bass as well. There was also a practical consideration of not many people playing baritone, so choosing it could open up more opportunities, but once that decision was made it quickly became apparent to me that it was more comfortable as my voice than the other saxes. Why jazz? That’s a tricky one as I wouldn’t really consider myself a jazz musician, more just an improvising musician! But jazz has been a big part of my musical education, and as a genre that encompasses so many different styles it allows a lot of freedom to explore creative ideas. CF: You’ve played with Emanative, Dele Sosimi Afrobeat Orchestra, The Fontanelles, Jessica Lauren Naga Five and even Spiritualized. 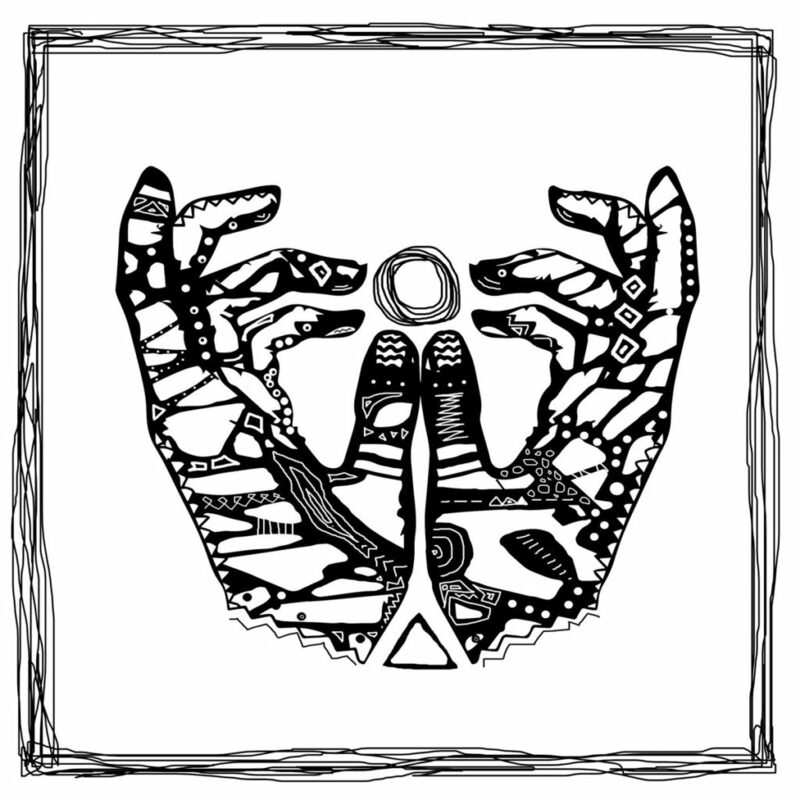 But in 2014 you released the Instead LP, as Collocutor. Could you tell us a bit about how that album came about and what kind of concept you had behind it? Collocutor is my second project as bandleader / composer (the first was an afro-latin-funk band called Oddjob). The first project petered out for various reasons, and around the same time I joined Dele’s band and met many of the others you mentioned, and so took a break from writing my own material and just enjoyed being a side-person in some great bands. When the Fontanelles came about as an offshoot from the Fela musical at the National Theatre back in 2010/11 it was an impetus to start writing again, but some of what was coming out wasn’t right for that group. So I decided it was time for a project that was just about allowing the music to be whatever it wanted to be without the constraints of writing for a particular genre or situation (such as needing to fill a dance floor). 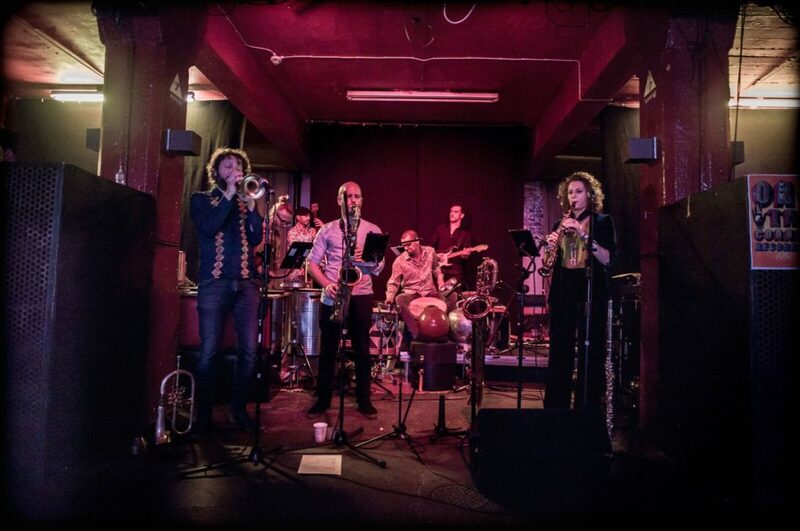 I’d also recently done a tour with the Yuriy Galkin Nonet (a modern jazz ensemble playing Yuriy’s original music) and the 2012 Africa Express train tour taking 80+ African and western musicians around the UK. Both experiences really inspired me to try to free up my writing and explore non-standard influences and instruments, particular on the percussion side of things. Originally I wanted to use a drummer as well as 2 percussionists, but when my first choice wasn’t available it seemed like an opportunity to experiment with the line-up and see what could be done with just the percussion. The idea behind Instead was to take recording the album as the starting point and see if anyone liked it! Collocutor as a band didn’t exist before the recording, although the musicians knew each other from working together in various groups. In terms of writing, on several of the tunes I decided to explore using modal ideas I’d encountered through working with musicians from other traditions (such as Indian classical and Ethiopian), and to really restrict what I wrote in those pieces to a particular mode – so the bass line, guitar part, all the horn melodies would have to use only the notes in that mode. I was also writing with particular musicians in mind so I could consider their strengths. CF: We think we’ve picked up on more than traces of modal jazz, fire music, Ethiopian jazz, afrobeat and even some Hendrix yet Collocutor’s sound is a distinct one, what would you say are some of your main influences for your work as Collocutor and how do you retain your own sound amongst those same influences? All of the above are definitely big influences on me, but so is classical music. I grew up playing in orchestras and chamber musical ensembles, and studying classical harmony and composition techniques. So those really play into how I write, for the horns in particular. But also rather than trying to replicate a particular genre we combine influences from all over the place – for example in some of the tunes the structure of the interplay between bass and guitar is inspired by Afrobeat (rhythmic and repetitive interlocking lines), but isn’t necessarily trying to sound like an Afrobeat groove, and this will be layered with horn section writing influenced by choral music and percussion from somewhere out in the cosmos! The other band members also bring their own influences to play (Marco’s approach to guitar springs immediately to mind), and I try to have them in mind as I’m writing. And of course a big part of Collocutor’s sound is the percussion – Maurizio and Magnus (and Alfa Sackey on Instead) play such a variety of instruments and are always willing to experiment, so that really helps us create a distinct sound. CF: Your upcoming album, The Search, is largely recorded and you’re currently crowd sourcing the remaining investment needed to finish it and get it to record stores. How different was the experience of writing and recording this album compared to the last? Very different! This time round the band has existed as a gigging entity so we all know each other’s playing in this context much better. And we’ve played a lot of the material live before going to the studio, so we’ve had much more opportunity to rehearse and develop the material before recording. I actually started writing the ‘new’ material for Collocutor’s first ever gig back in 2014 as we needed more tunes to play live. As I continued to write with a second album in mind the material took on a narrative form – I didn’t mean to write a concept album, but that’s kind of what happened! The music starts in a place of discontent or disillusionment and moves towards hope and the tentative optimism of new beginnings. It’s a journey narrative that can be interpreted as spiritual, emotional or physical, depending on the listener’s own experiences. The tunes and their titles fell into a natural album order, but the last piece of music I wrote was the hardest – it had to be the first tune in the narrative, so was more difficult because I knew it had to fulfill a particular role in the structure of the album. So whereas the material on Instead was linked by the idea of exploring modes and influences from around the globe, The Search is actually a story. Another difference is the inclusion of three improvised conversations between 2 or 3 band members. On gigs we were doing a couple of covers which were more jammed out and structurally open than our own music, and we also did some trio, quartet and quintet line-ups where we improvised new material. There was so much obvious potential from these situations that it was really important to find space on the new album for people to just do their own thing. CF: Hearing one of the songs at that 1001 show, I had a conversation about how heavy one particular song was and how one could imagine someone like MF Doom rhyming on it. Have you ever thought about collaborating with any MCs, poets or singers on a Collocutor piece? Yes, the idea has come up, but I haven’t explored it in terms of writing new material yet – all the energy has been on getting the second album done! But I’d definitely be up for remixes or for the existing material to be re-versioned featuring lyrical artists. CF: Since contributing to Emanative’s Light Years of the Darkness LP, we’ve seen you play together another of times, at least twice with Earl Zinger, and with an expanded line up featuring Jessica Lauren and Sarathy Korwar. Can we expect more in the pipeline from this pairing? CF: What are some of your favourite albums past or present? That’s a tricky one, it’s hard to know when to stop listing! 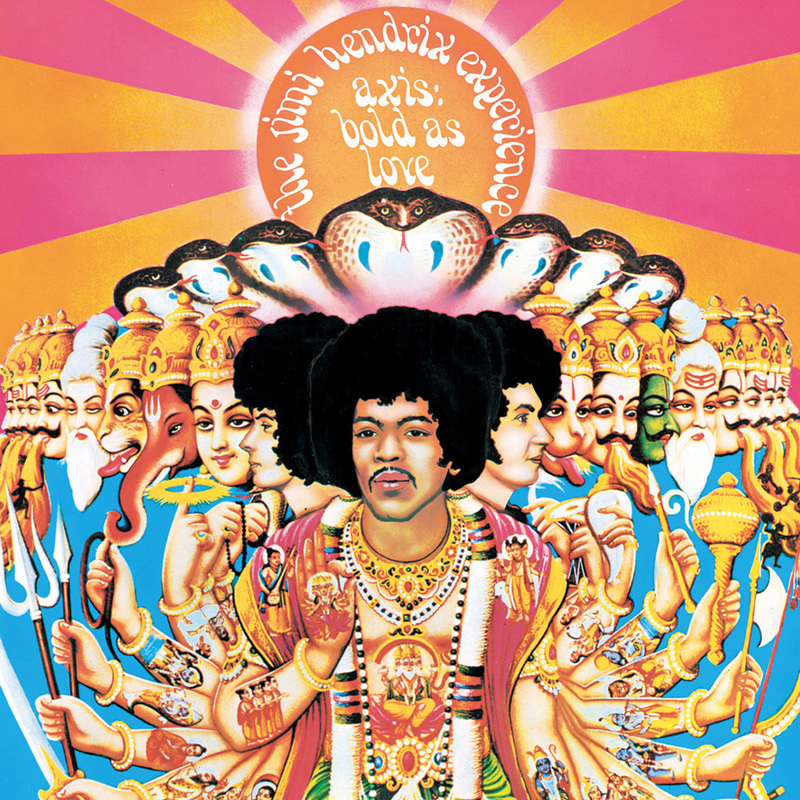 But Jimi Hendrix – Axis Bold As Love, Miles Davis – Sketches of Spain, Fela Kuti – Open & Close/Afrodisiac, Mulatu Astatke & The Heliocentrics – Inspiration Information, Shakti – Natural Elements, Kenny Wheeler – Angel Song, Joe Henderson/Alice Coltrane – The Elements to name a few. My most recent purchase was Cara Stacey’s Things That Grow which is a beautifully hypnotic album. CF: And what other new music or up-and-coming musicians are you excited about at the moment? Sarathy Korwar’s debut album is due for release in early July. He’s an excellent drummer, percussionist and all round musician and has racked up some interesting collaborations in both the jazz and Indian Classical fields. Then for something completely different there’s Penya, a new Latin-rock-dance-electronica project from Collocutor’s percussionist Magnus. On the electronic side my current favourite producer is Clap! Clap! 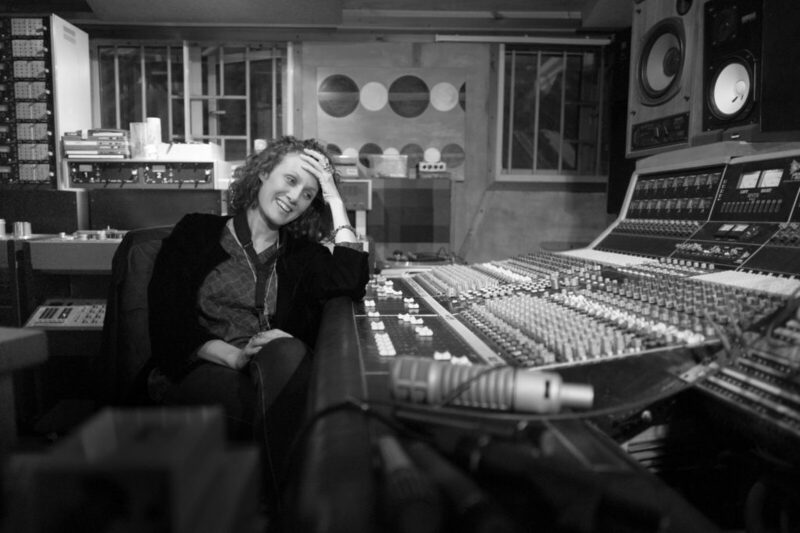 who draws influences from all over the globe to create a unique sound, and back in the jazz realm I recently saw pianist Sarah Tandy live – she’s an exciting improviser and definitely one to watch. CF: What’s your favourite thing about living in London? The diversity, being able to get good food from pretty much any world cuisine, an extensive public transport system that works (most of the time) and being able to earn my living as a female freelance musician. There are too many cities in the world where many of those things don’t apply. CF: Lastly, where can we catch you playing live soon? 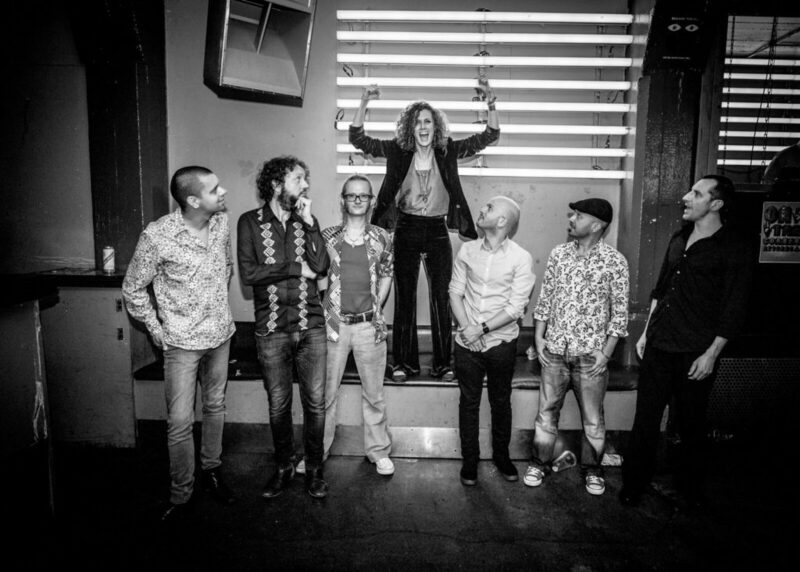 Collocutor are playing in Peckham on 21st July and at Manchester Jazz Festival on the 23rd. Also, I’m guesting with Sarathy Korwar at his album launch on 14th July & playing a preview gig with him at If Music on the 1st, and there are various dates with both Dele Sosimi and the Hackney Colliery Band throughout the summer.